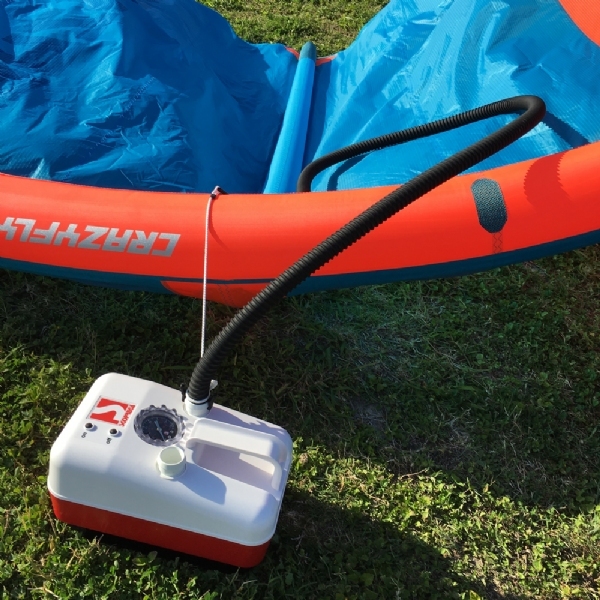 The Bravo 20 Electric Pump has everything you need to pump your kiteboarding kite, stand up paddle board (SUP), raft, boat, dinghy, kayak, mattress, pool toy, or other inflatable items all in one convenient package. Twin-cylinder, single-stage pump fills quickly and to higher pressure than most electric pumps on the market. An easily-selectable pressure dial indicator lets you choose the PSI and automatically shuts-off when the desired pressure is reached. 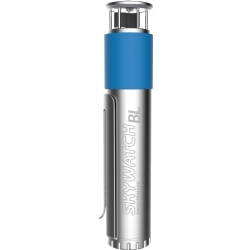 The pump houses an internal, rechargeable battery that can be easily trickle-charged using the included wall charger or car cigarette lighter adapter. If the battery is drained but you still want to pump something, the pump can be run from other 12V power sources such as a car battery using the included power cable. The heavy-duty hose comes with several different sizes and types of adapters for compatibility with H3 SUP valves, 9mm kite inflate valves, and Boston screw valves (commonly found on kites and many air mattresses). The pump hose comes with a kite leash to hold your kite while it is being inflated. 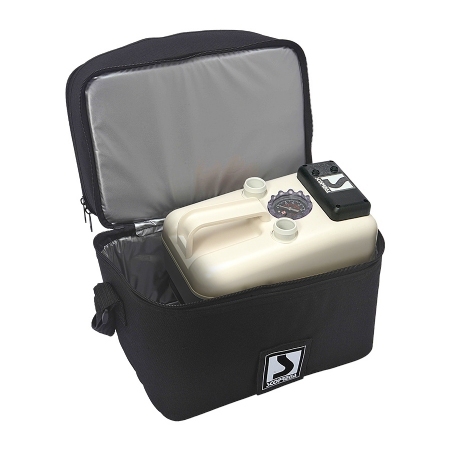 Easily carry the pump and all accessories in the bag with the shoulder strap or just take the pump using the pump's convenient handle. The Bravo 20-1 Electric Pump has mainly an internal change to the piston and rod pumping group to make it more efficient and faster than the Bravo 20. Note: Please keep the battery charged when not in use to prolong battery life. The first charge may take as long as 6-10 hours to fully charge the battery. 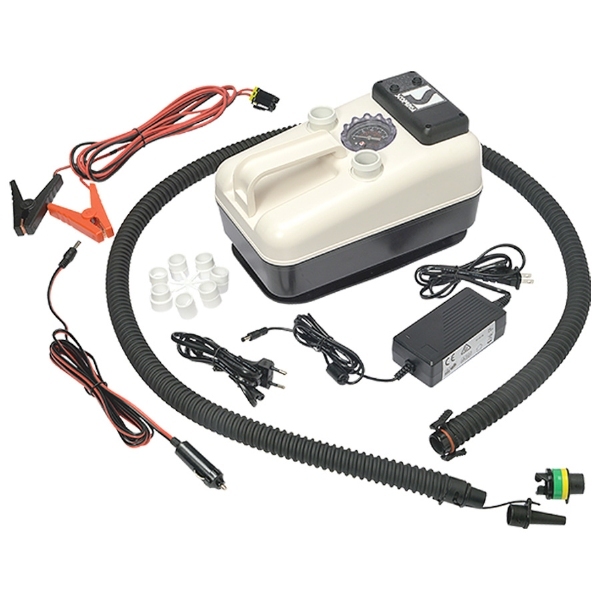 To store the pump for a long period of time without it being used, charge the battery to full and remove the fuse from the back of the pump.